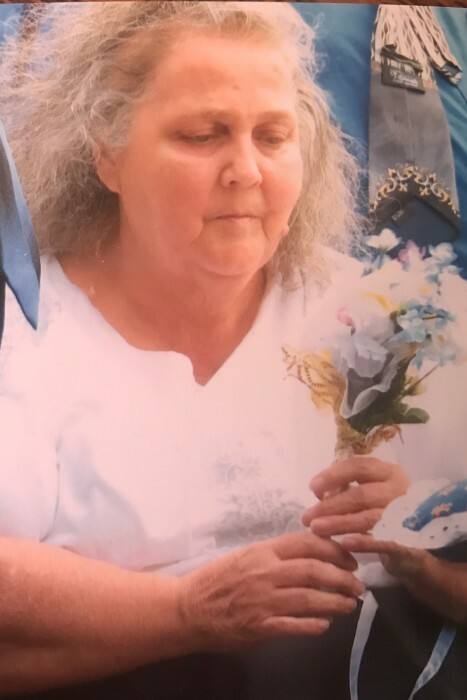 Opal Doris Davidson Gibson, age 73, of Uhrichsville died at 5:34 P.M. Sunday, February 3, 2019 in Trinity Twin City Hospital in Dennison. Opal was born in Dennison on October 10, 1945 to the late Harry Weston Davidson and Mildred Marie Staley Davidson. She grew up in the West Chester, Dennison, and Uhrichsville area. She was a housewife and homemaker. Member of the Lighthouse Christian Church of New Philadelphia, former member of the Tippecanoe Nazarene Church, and a former member of the Uhrichsville Moose #740. Surviving is her husband, Ben Richard Gibson. They were married May 9, 1965. Also surviving are five children: Brenda Hines, Brad (Kelly) Matyas, Burt (Kelley) Lautzenhieser, Charles (Tammy) Barnes, and Ruth (Robert) Smith; 17 grandchildren Rachel (David) Kirby, Sarah Hines, Richard (Kyra) Taggart, Emma (Donald) Atkins, Zach Stull, Jessica Matyas, Jonathan Matyas, Nicole Matyas, Caleb Matyas, Blaine Matyas, Bradley Lautzenhieser, Breanna Lautzenhieser, Brandon Barnes, Robert Smith II, Ryan Smith, Reed Smith, Rylynn Smith; eight great grandchildren: Jonathan Summerfield, Katheryne Kirby, Harold Kirby, Isabel Atkins, Sue Atkins, and soon to be born, Donald Atkins, Odette Stull, and Brysen Stull; two great-great grandchildren: Sophia Summerfield, and Zoey Summerfield; three sisters-in-law: Gloria Davidson, Donna Davidson and Dorothy Tinney; and numerous other children who called her mom and grandma and numerous nieces and nephews. In addition to her parents, she was preceded in death by a daughter, Belinda Taggart who died April 2018; a son, Ben Matyas who died May 2001; three brothers: Leonard Davidson, Jasper Davidson, and Harry Davidson; and two sisters: Delora Hines and Myrna Furbay. Visitation will be held from 2 to 4 p.m. Thursday, February 7, 2019 in Rush Christian School Gymnasium located at 4617 Watson Creek Road SE, Uhrichsville, Ohio 44683. A memorial service will begin at 4:00 p.m. with Pastor Billy Hall officiating. Cremation will follow the service.